Jay Want, MD, is Executive Director of the Peterson Center on Healthcare. He leads the Center’s expanding portfolio of initiatives and grants to identify high-performance models of healthcare, validate their impact on quality and cost, and facilitate their adoption on a national scale. Dr. Want brings decades of experience in healthcare delivery, improvement science, data transparency and executive leadership. His background as a primary care physician further grounds the Center in its work to enable physicians, partnering with patients and care teams, to transform healthcare delivery from within the system. 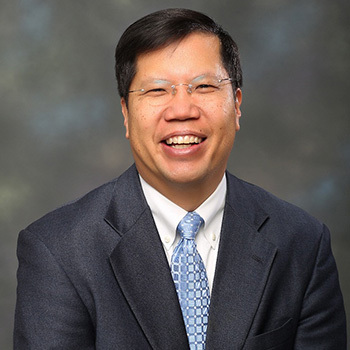 Formerly Chief Medical Officer and Board Chairman at the Center for Improving Value in Health Care, Dr. Want has significant expertise in creating public-private partnerships that support the transparency necessary for healthcare transformation. He has also consulted for the Network for Regional Healthcare Improvement, the Center for Medicare and Medicaid Services, and the Robert Wood Johnson Foundation. Dr. Want has also served as an Innovation Advisor for the Center for Medicare and Medicaid Innovation and was the President and Chief Executive Officer of a management services organization that is now part of the Medicare Shared Savings ACO Program. He served on the board of the non-profit Rocky Mountain Health Plan and on task forces for the Colorado Division of Insurance, the Colorado Trust, the Colorado Hospital Association, the Governor’s Blue Ribbon Commission on Health Care Reform, as a commissioner on the Colorado Commission for Affordable Health Care, and as a fellow of the Colorado Health Foundation. Dr. Want received his internal medicine training at the University of Colorado Health Sciences Center, his medical degree from Northwestern University and his undergraduate degree from Wabash College.